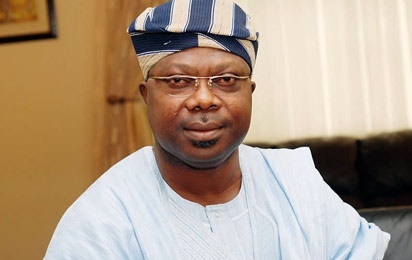 It seems former deputy governor of Osun State, Iyiola Omisore, has some questions to answer in the alleged attack on late Senator Isiaka Adeleke. The late senator, who was a governorship candidate of the PDP shortly before the 2014 governorship election had accused Omisore and a former Minister of State for Police Affairs, Jelili Adesiyan and one Sogo Agboola, of beating him up at a hotel. Adeleke, eventually defected to the All Progressives Congress ahead of the poll to assist Governor Rauf Aregbesola win his second term while he (Adeleke) contested Osun West Senatorial Election and won. He, however, died on April 23, 2017. A copy of the letter dated, October 20, 2017 was signed by the Deputy Commissioner of Police State Criminal Investigation and Intelligence Department, Umega Uzochukwu. The Police Public Relations Officer in Osun State, Folashade Odoro, confirmed the invitation. The late Senator is Davido's uncle.